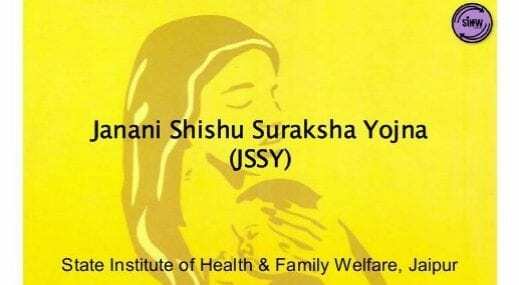 The government of India has introduced the Janani Shishu Suraksha Karyakaram (JSSK) on 1st June 2011. The scheme is to advantage the pregnant women who access Government health facilities for their delivery. Moreover, it will help those who still choose to deliver at their homes to opt for institutional deliveries. All the States and UTs have commenced implementation of the scheme. High out of pocket expenses being levied by pregnant women and their families in the case of institutional deliveries in form of drugs, User charges, diagnostic tests, diet, for C –sections. In view of the challenges being faced by the pregnant women and parents of sick newborn along-with high out of pocket expenses incurred by them on delivery and treatment of sick- new-born, Ministry of Health and Family Welfare (MoHFW) has taken a basic initiative to evolve a consensus on the part of all States to give completely free and cashless services to pregnant women including normal deliveries and caesarean operations and sick newborn (up to 30 days after birth) in Government health institutions in both rural and urban areas. The initiative entitles all pregnant women delivering in public health institutions to absolutely free and no expense delivery, covering cesarean section. The scheme focuses to eliminate out of pocket expenses incurred by the pregnant women and sick new borne while accessing services at Government health facilities. The scheme is estimated to advantage more than 12 million pregnant women who access Government health facilities for their delivery. Moreover, it will motivate those who still choose to deliver at their homes to opt for institutional deliveries. Previous What is "Jal Bachao - Video Banao - Puraskar Pao" Contest?